Google this week announced that it has acquired popular GIF search platform Tenor for an undisclosed sum. In the announcement post, Google said that web and mobile searches have "evolved" over the years and Google Image searches pertaining to GIFs have seen an increased amount of traffic -- "we see millions of searches for GIFs every day." 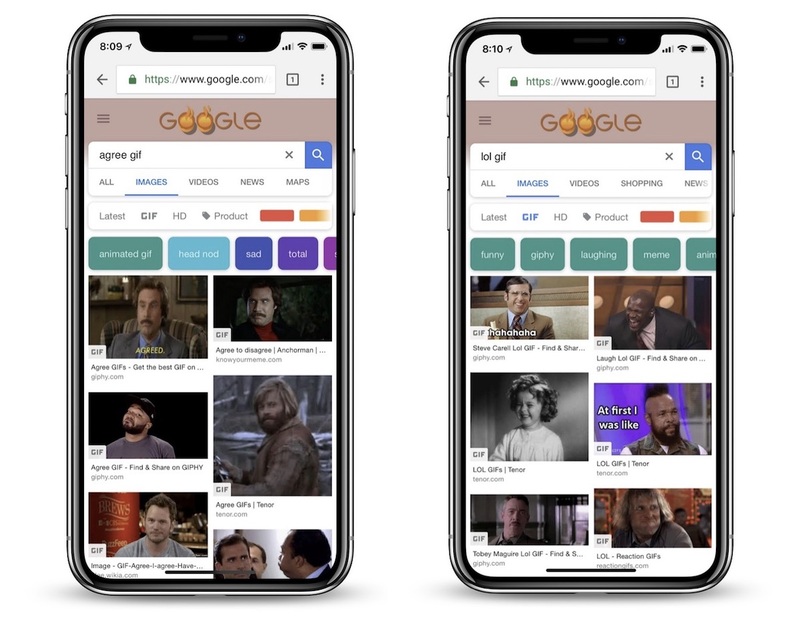 Following a recent update to the iOS and Android Google app that introduced more context around images, Google said it will now "bring GIFs more closely into the fold" through the Tenor acquisition. No specifics have been given yet, but the company said that Tenor will help Google surface GIFs "more effectively" in Google Images and, particularly, in the mobile Gboard app. We’ve continued to evolve Google Images to meet both of these needs, and today we’re bringing GIFs more closely into the fold by acquiring Tenor, a GIF platform for Android, iOS and desktop. Tenor is available as its own app on a variety of devices, including iOS and macOS, but Google promised that the GIF service will "continue to operate as a separate brand" so these apps won't be affected by the acquisition. Google will also help Tenor through investing in the service's technology, as well as in relationships with content and API partners. Tenor has a long list of brand partners including movie studios, TV networks, video game publishers, and more that it partners with to propagate its service with the latest and most relevant GIFs. The company also fuels the GIF searches of other apps, including Facebook and WhatsApp in certain regions. About a year ago, Tenor rebranded and updated its Mac app to become the first app to place GIFs within the MacBook Pro's Touch Bar. Damn. Time to delete tenor.